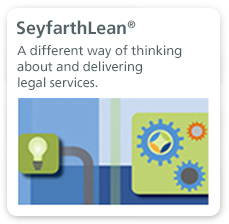 When corporations, officers, directors and business executives face federal or state investigations and enforcement actions, the experienced attorneys in Seyfarth Shaw’s White Collar Criminal Defense & Fraud Prevention practice help to bring them the peace of mind that they need to navigate these sensitive circumstances. 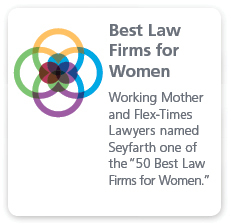 Seyfarth’s White Collar Defense and Fraud Prevention attorneys have represented individuals, corporate employees, officers and directors, partnerships, and corporations in federal and state grand jury investigations, agency investigations and trials. They have handled matters involving federal and state program and procurement fraud, health care fraud, False Claims Act, government contractor fraud, the Foreign Corrupt Practices Act (FCPA), export controls, IEEPA, ITAR, immigration violations, securities fraud, mail and wire fraud, tax fraud, the Bank Secrecy Act and other money-laundering issues, RICO, criminal antitrust violations, and environmental health and safety violations. Many of our attorneys have logged long careers as state and federal prosecutors and bring the confidence and necessary background to work through the most challenging situations. Our attorneys, several of whom were high-ranking prosecutors with the criminal divisions of the U.S. Department of Justice and U.S. Attorneys’ offices, can help our clients manage the risks of fraud and respond to allegations of serious misconduct, whether before a grand jury or during a law enforcement investigation. Members of our team are actively engaged in counseling clients in managing the risks of fraud and in defending corporate interests in investigations initiated by federal and/or state law-enforcement. 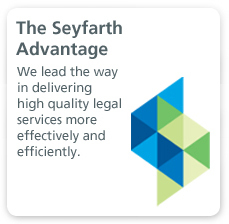 We have extensive knowledge in the areas specifically relating to health care fraud and qui tam or FCA suits and money laundering. The team has represented health care providers against allegations by the Health and Human Services Office of Inspector General relating to medical fraud.